JG Thirlwell is creating the musical score for the new season of the critically acclaimed hit show Archer. Archer is an animated, half-hour comedy that revolves around a former spy agency turned private investigation firm and the lives of its employees. 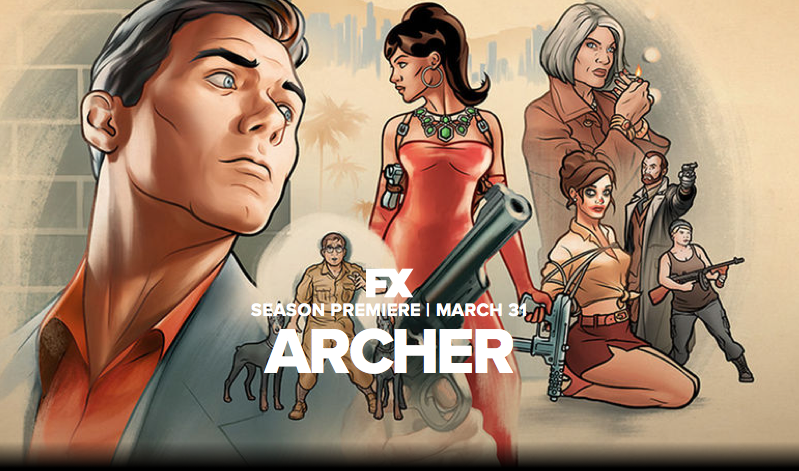 The new season, which is Archer‘s seventh, begins airing on March 31 2016 in the US on the FX network. Until now Archer has been using stock music for their score, and this is their first season with a composer. JG will also continue work on Venture Bros for Adult Swim / Cartoon Network, and will be releasing Volume 2 of Venture Bros soundtracks on his Ectopic Ents label through an arrangement with Adult Swim very soon. Thirlwell was recently nominated for an Annie Award for his work on the Venture Bros, which is the highest honor in the field of animation.